Ensuring your business is operational should an unforeseen event occur (such as fire, flood or power outage) is essential to providing continuity of service to your customers. Therefore, having an insurance plan in place that ensures your critical applications and data are always available makes extremely good business sense. 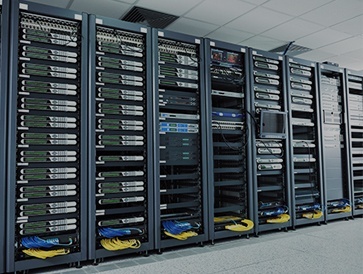 Some corporations are large enough to have their own dedicated data centres, but for small and medium enterprises, the option to rent server rack space in a specialist, secure facility is the perfect solution. This way, your company’s data is protected by the most up-to-date systems in a dedicated business continuity data centre that meets all the essential requirements for power, security, temperature control, fire suppression systems and full redundancy – leaving you secure in the knowledge that, should the worst happen, your company is fully protected and can remain operational. We offer two hosting options: Client-managed and Fully-managed. Our flexible Client-managed hosting solution means you can rent rack space in our ultra-high-end data centre for secure off-site storage of your own server hardware. Our Fully-managed hosting option provides you with consulting, hosting and support services as well as rented space in our dedicated, resilient and secure data centre.